Does he look like the teddy bear you hold tightly at night? 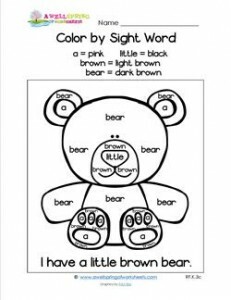 Color by sight word and see if he’s the same color. Then show him some love and give him a hug!